The world has started moving towards the electric cars and the popularity of electric cars also increasing day by day. Government is also pushing consumers to buy electric cars by giving them government subsidies. Tesla as a company will not give the discount, they do not bargain for their cars like most dealerships they have a set price for different packages and the options and that’s it. 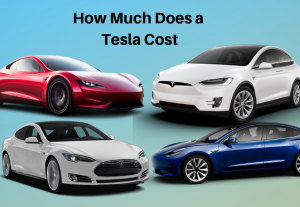 The cost of Tesla cars is ranging from $44,000 to $138,000 before any tax credits. Currently, Tesla is selling 3 cars- Model S, Model 3, Model X and in future they will be launching Tesla Model Y and Tesla Roadster. One of the biggest discounts is going to come from buying an inventory car. The inventory cars are the cars that each Tesla showroom has to either do test drives for the potential buyers or these are the cars that are being used for current customers that are bringing their cars in to be serviced. That’s the car that they drive in while the cars and service those cars can have anywhere from 500 miles to maybe 5000 miles but the discounts for those cars are amazing, you can get 10,000 to 15,000 dollars in discounts for those cars. Those cars have never been sold so they still qualify for lease because only brand new cars qualify for a lease so it’s a great way to get a great discount from Tesla. The Tesla Model 3 is currently Tesla’s top-selling car because of its price, looks and excellent range. 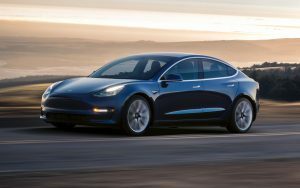 Tesla has faced many production issues, late deliveries of Model 3s because of the high demand of Tesla Model 3 but now it’s production is stable. The Tesla Model 3 comes in 3 variants- Rear-Wheel Drive, Dual Motor All-Wheel-Drive and the Performance model which is also Dual Motor All-Wheel-Drive. The base model that is Rear-Wheel Drive costs $44,000, Dual Motor All-Wheel-Drive costs $51,000 and the Performance Model priced at $62,000. The Rear-Wheel Drive Model 3 is actually lesser range version which has 264 miles of range and the other two have 310 miles of range. The Rear-Wheel Drive version can go 0 to 60 mph in 5.6 sec, the All-Wheel Drive can cover 0 to miles in 4.5 sec and the performance version can achieve 0 to 60 mph in just 3.3 sec. The Model 3 was expected to be sold at $35,000 before incentives and tax credits but Tesla has not launched $35,000 model yet. This car is yet not available at Tesla’s New/Used Inventory so there is no option to buy Tesla certified used Model 3 car. The cost of the Tesla Model S depends on the model you want to buy and the available discounts or tax credits. Currently, Tesla is selling Model S in 3 varients- 75D, 100D, and P100D which is the performance model of Tesla Model S. The Tesla Model S 75D costs $76,000, 100D costs $94,000 and Model S P100D costs $133,000. Earlier, Tesla Model S used to come with 6 variants 60, 60D, 75, 75D, 90D, P100D but now it comes with only 3 variants. Every version of Model S performs differently, the 75D can go 0-60 miles/hr in 4.2 sec, the 100D can go 0-60 in just 4.1 sec. The P100D is fastest among all it can cover 0 to 60 miles distance in just 2.5 seconds. 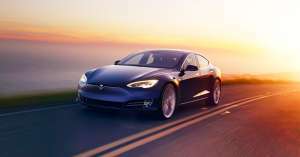 Anyone can get a good discount by buying an inventory car, the used Tesla Model S is available at Tesla Used Inventory starting at the price of $31,700. The main advantage of buying an inventory car is that you can get free lifetime supercharging. Some of the old Tesla Model S’s are eligible for free supercharging for life. Update– Tesla has stopped accepting orders via “Tesla.com” on the Model S 75D. The Model X is the first SUV made by Tesla and it is also the first all-electric SUV in the world. 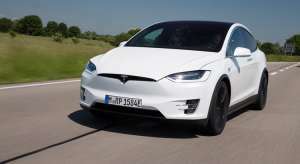 The Tesla has started Model X production in 2015 and it is offered only in all-wheel-drive with dual motors option. Currently, the Tesla Model X offered in three variants- 75D, 100D and the performance model that is P100D. The base model i.e 75D costs $82,000, 100D costs $97,000 and the performance model priced at $138,000. The Tesla Model X seats 7 and it is the fastest electric SUV to go 0 to 60 mph. The Model X 75D can cover 0 to 60 miles in 4.9 sec, The 100D can go 0 to 60 mph in 4.7 sec and the performance model that is P100D can achieve 0 to 60 mph in just 2.9 sec. For Discount you can consider buying Inventory Model X, Currently, used 2016 Model X P100D is available at $110,000. Update- Tesla has stopped accepting orders via “Tesla.com” on the Model X 75D. During the conference call for Tesla’s third quarter financial results, the Elon Musk said that he approved the Model Y prototype for production. The Tesla Model Y will feature ‘Falcon Wing’ doors like the Model X and this car will be based on the Tesla Model 3 platform. According to the above Elon Musk’s tweets, The Tesla Model Y will be launched on 15th March 2019 but still, there is no official statement by the Tesla about the launch date of Tesla Model Y so stay tuned for that. The Tesla Model Y will be produced at the Gigafactory 3 and the production will start by the end of 2019. The cost of the Model Y has not yet revealed by the Tesla. The 2nd generation Tesla Roadster is the quickest production car ever, it can cover 0 to 60 miles in just 1.9 sec which is faster than the Bugatti Chiron. It is the first car to break the 0 to 60 mph 2 seconds barrier. It also translates to a 0 to 100 mph time of 4.2 seconds, a quarter-mile in just 8.9 seconds, and record-breaking 250+ mph top speed. This car has 200 kWh battery pack and it can travel 620 mph in a single charge and that is the highest battery range ever claimed by the electric car company. The cost of the base model of the Tesla Roadster is $200,000, the founder version costs $250,000 and Tesla will make 1,000 units of it. Tesla has ended the free supercharging for all vehicles, certain Model S and X, ordered before November 2, 2018 will receive 400 kWh (~1,000 miles) of Supercharger credits annually. One of the best ways of getting free supercharging is by buying inventory vehicles sell by Tesla, Some of old Model S and Model X are still eligible to get Tesla’s Supercharging free for life. Where possible, owners are billed per kWh (kilowatt-hour), which is the fairest and simple method. In other areas, we bill for the service per minute. Supercharger pricing information may be viewed on the touchscreen. Tier 1 is half the cost of tier 2. In the US, people have a federal tax credit of $7,500 for Electric vehicles. It varies based on the size of the battery but because Tesla uses big batteries they qualify for the full amount of federal tax credit. Once a manufacturer hits their 200,000-car delivered in the US that starts to phase out and Tesla has confirmed that they’ve done that in July. That means that if you have a tax liability of $7,500 or more, the next year you’ll be able to get that money. This year i.e. 2019, the Tesla tax credit dropped to $3,750, 50 percent of the previous amount so in 2020 you will be able to get $3,750 back on your tax refund. If you have any queries about this post, let us know in the comment section below.